We help established businesses transform under-achieving digital campaigns into thriving high performers. We work with a limited number of new customers each month to maintain our quality and we understand that if your business doesn't grow and thrive, neither will ours. "PixelRush have helped lift our average monthly website traffic by 20+ percent. They’re the next level with SEO"
"I have had many bad experiences with big SEO companies in the past – a big waste of money. PixelRush far surpasses any of these, and at an extremely fair price." Find new leads and switch your SEO campaign from an expense to an investment. We help grow your business using our consistent, predictable and profitable lead-gen service. Free yourself from the stress of non-performance, wasted spend and profitless campaigns. Our campaigns are meticulously crafted, data-driven and we hate wasted spend as much as you do. Our conversion-focused design team will turn your website into a powerful customer generating machine and ensure your brand stands out. 100% risk free digital services. We enjoy long term partnerships with our clients but we won’t lock you in. Just give 30 days’ notice to cancel your campaign at any stage. Using our results driven process we guarantee to improve the performance of your digital marketing campaigns. Secondly, we transform your website, using our conversion-focused design team, turning it into a powerful, customer-generating machine. Thirdly, we carefully configure your SEO and PPC campaigns to attract customers with buying intent and who practically beg to give you their money. And fourthly, we track everything including enquiries, phone calls, sales and sign-ups so we know exactly how your campaign is performing and how we can make it better. We are a boutique agency that works with businesses who are passionate about their industry and want their business to dominate in an aggressive digital world. 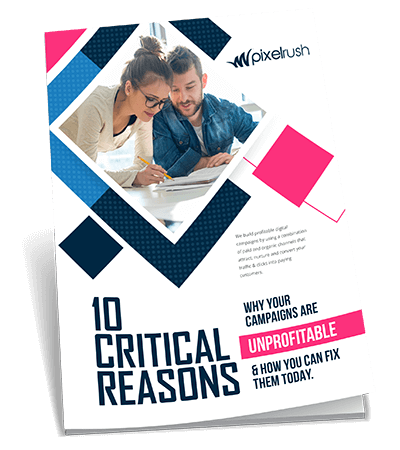 Stop living with the stress of non-performance and unprofitable campaigns – those days are gone. If you’re tired of wasting thousands of dollars on campaigns that don’t convert, we can help. We will switch your campaigns from an expense to an investment and you’ll enjoy exponential profits the longer you work with us. We also guarantee no commercial overlap in your business sector by working exclusively with one business per industry per location. Our direct approach means we won’t sugar coat our advice, we’re here to get results for you.